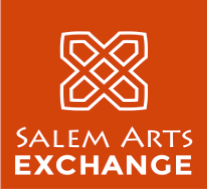 Salem Arts Exchange (SAE) is a collaboration of people from many nations desiring to learn how to use a sewing machine to either earn a livelihood or help others to do so. SAE meets on Tuesdays from 5:00 p.m. to 8:00 p.m. at the Salem House, 1201 E. 26th Street, Minneapolis, MN 55407 (a little blue house on the corner of 12th Ave. and 26th St.). Interested in volunteering or joining the SAE ministry, click here for more information.